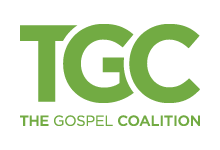 The Gospel Coalition (TGC) is a fellowship of evangelical churches deeply committed to renewing our faith in the gospel of Christ and to reforming our ministry practices to conform fully to the Scriptures. TGC believes gospel–centered ministry is characterized by: empowered corporate worship, evangelistic effectiveness, counter–cultural community, the integration of faith and work, and he doing of justice and mercy. Such a balance will produce churches with winsome and theologically substantial preaching, dynamic evangelism and apologetics, and church growth and church planting.